Beleaguered ride share giant Uber hit another roadblock this week. On Monday, the San Francisco-based organization ceased its efforts to develop self-driving trucks. According to Eric Meyhofer, the leader of Uber's Advanced Technologies Group, the move will permit the company to devote their full attention to getting driverless cars on the road. He says, "We recently took the important step of returning to public roads in Pittsburgh . . . we believe having our entire team's energy and expertise focused on this effort is the best path forward." Over the last several years, Uber has invested nearly a billion dollars into making a fleet of self-driving trucks a reality. In hopes of transforming the face of freight and logistics, they acquired Otto in 2016. The pair enjoyed their first breakthrough within the year. The road ahead looked bright when Uber saw one of its new self-driving trucks make a (potentially illegal) 120-mile journey to deliver a shipment of Budweiser beer. The excitement was short-lived. Nine months after acquiring Otto, Uber found itself embroiled in a messy legal dispute over intellectual property. Waymo, formerly an affiliate of Google, alleged that Uber's head of self-driving technology research had stolen more than 10,000 confidential documents. Both parties would eventually settle out of court, but the ordeal certainly took some air of Otto and Uber's tires. In the months following the settlement, all of Otto's founders left the company. Uber's efforts to drive trucking's evolution have not, however, totally run out of gas. The organization remains hopeful that the Uber Freight app will soon prove as disruptive to Logistics as its flagship offering has to the taxi industry. Launched last year in four Texas cities, the app enables qualifying truck drivers to pick up loads the same way a traditional Uber driver picks up a fare. Though Uber has had to contend with the same capacity issues as its peers in trucking, the service now pairs drivers with shipments across the entire continental United States. Though Uber is no longer in contention, the race for self-driving trucks continues. Experts suggest that highways provide the ideal test space for autonomous vehicles of all kinds. In Uber's own words, "the consistent patterns and predictable road conditions of highway driving . . . make it optimal to deploy self-driving technology." The relative success of self-driving trucking efforts suggests Uber's rationale is sound. Embark, a Silicone Valley start-up, has already sent one of their autonomous vehicles all the way to Florida. That's not to mention the advancements made by juggernauts like Tesla and Google. The journey won't end anytime soon, but it's clear the $700 billion trucking industry is speeding toward an autonomous future. The potential cost reduction figures and efficiency boosts are fueling wild speculation among supply chain managers, but the uncomfortable topic of job displacement still looms on the horizon. 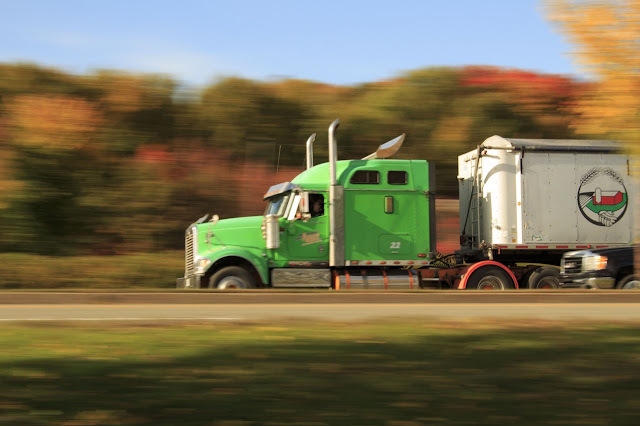 The Alliance of Driver Safety and Security, in particular, has expressed their opposition to fully-autonomous trucking. They not only cite displacement, but the considerable safety concerns inherent to self-piloted vehicles. Human drivers, they suggest, are indispensable when it comes to detours, emergencies, and extreme weather. Unsurprisingly, . Back in February, their own Alden Woodrow said, "We've been disappointed over the last year to see a lot of stories about how self-driving trucks are going to be this huge problem for truck drivers. That's not at all what we think the outcome is going to be." He goes on to make the bold prediction that driver-less trucks will actually create new jobs for truckers. Whether self-driving trucks create or eliminate jobs remains to be seen. It's not clear if, as Uber predicts, we'll see as many as a million and half driverless cars in the next decade. As of this week, however, we finally have one definitive answer in the autonomous trucking debate. Uber won't cross the finish line.